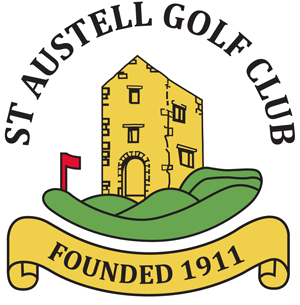 St. Austell Golf Club is a James Braid designed private members club located just outside St.Austell in Cornwall. It is situated half a mile down Tregongeeves Lane which is a left turn off the A390 to Truro. The course itself is an undulating parkland / heathland course which provides a test for both beginners and low handicappers alike. It is a Par 69 from the white and yellow tees and 72 from the reds. It comprises one par 5, thirteen par 4’s and four par 3’s but three of the men’s par 4’s are par 5’s for ladies. The course measures 6042 yards from the white tees and 5479 from the reds. The club has thriving Men’s, Ladies, Mixed, Seniors and Junior sections and has a friendly atmosphere towards both members and visitors. Facilities include: Licensed bar for members and guests, men’s and ladies changing facilities, separate dining area, well stocked professional’s shop, floodlit driving range, swing & fitting room, practice putting green and short game area. If you are thinking about joining see our Membership page or Contact us here for more details.